The biggest part of staying on a budget is choosing where you shop, I, of course, love luxury things, but I am a college student and I cannot afford luxury things all the time. But, that does not mean that the cheaper clothes that I buy necessarily look cheap, and that's my whole thing! Just because the price tag was low, does not mean that the outfit has to resemble that too! So the main places that I shop are Target, half of the pieces you see on my Instagram and on my blog are from Target. JCrew, they have great sales, my biggest tip for JCrew is don't buy anything full price, wait a week or two and it will go on some type of sale. H&M is another favorite of mine, if you follow me on Instagram you know that I have a lot of staple items from them that I have had for years. I love H&M because I can pick up trendy pieces for a low price! Paying high prices for trendy pieces is not worth it, I promise! They're trendy, so get them for cheaper! Local boutiques, this one doesn't always fit into my budget, but when I am looking for something specific I often go to local boutiques. But, just because it's a boutique doesn't mean that it has to be expensive. Some of my favorites with good prices and that have great sales are Edge Boutique, Blu Spero, and James C Boutique. 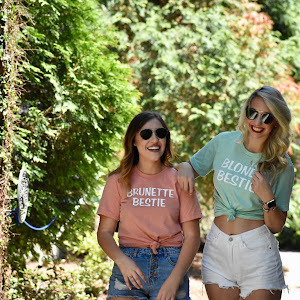 If you click the name of any of those boutiques it will take you directly to their Instagram so you can check them out and follow them to never miss one of their sales! I do have a system when I shop, that may sound a little crazy, but it's what works and what keeps me within my budget. When you walk into a store those items at the front are going to catch your eye, and yes they're cute, but they're usually the most expensive as well! So, when you walk into a store and walk straight to the back. The back of the store is usually where the sale items are along with the basic pieces. Basic pieces are just as important as the sale items. You can build your whole wardrobe off of basic pieces. When you get to the sale section, take a look through. My thing when looking through sale items is that 10-15% off is not really a sale, and typically for me isn't worth it. Try to stick to things 40% off and up! Judge the prices like you would a first date, is it really marked down to a price that's worth it or is it barely anything off? Also, remember that the items that are on sale usually aren't any lower quality than the items that are on the main floor right now. There are many reasons items go on sale, typically it's becuase it just isn't selling. Don't judge an article of clothing solely because it's on sale! The majority of things that I bought were things that were on sale. Check out Nordstorm Rack for instance! Basically, everything in there is on sale and comes from Nordstrom. If you don't shop at Nordstrom Rack yet, hop on over to their website and start now, you won't regret it! Remember, just because it's on sale and it's a great deal, does not mean that you need it, I struggle with this too don't worry. When I am not shopping sales I set price limits for myself, I typically don't spend over $30 on a shirt, if it's not by a designer it probably isn't worth it. For jeans, I don't like to spend over $60. These numbers vary depending on your budget and they are something that you need to set for yourself. These numbers work as long as you stick to them! They are hard to stick with at first, but once you get the hang of it you'll be fine. Another big thing to remember when you are trying to shop on a budget, go in with a mission! Often when we go into a store without a mission we come out with a ton of things that we didn't need to get, Target doesn't count in this example. If you go in with a mission of what you want to get you're less likely to come out with more than what you went in for. Go in knowing what you want and look specifically for that! I couldn't write this post without sharing the places with the best sales! My favorite place to shop for trendy jeans (mom jeans, high waisted jeans etc) is Target! 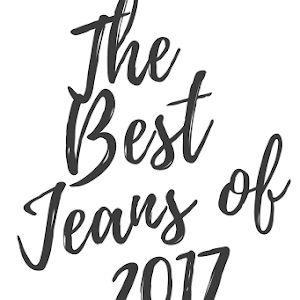 Head right on over to their sale section because often times their jeans are marked down to less than $15 and they're great quality! Edge Boutique is another one that is always offering great sales! I recommend following them on Instagram so that you never miss one of their sales! Blu Spero is the same way! Their sale section is to die for, follow them on Insta so you don't miss out on those either! What is important to remember here is to set price limits for yourself, you don't always have to shop the sale racks, but you do always need to set price limits for yourself so that you can stay in your budget. Also, don't think that boutiques never have sales, because often times they have some great ones! There are a couple of boutiques I religiously shop at because their sale section is so good. Often times they'll have $10 racks where you can find some great things! I actually found the romper that I am wearing in this post on a $10 rack at a boutique! Shopping on a budget takes thought and time, you have to be willing to go in there and search through the sale items. You have to be willing to look at something and decide that it may be just a little too high for your budget! But don't worry, you'll find something somewhere else!